It can be argued that the unique fashion niche of Sub-Saharan Africa began in Ghana. It is believed that traditional West African cloth making was first introduced in Bonwire, a village in the Ejisu-Juaben Municipal district in the Ashanti Region of Ghana. It was there that indigents were first noted as engaging in the production of the Kente cloth, the most recognizable of all African textiles. Kente comes from the word 'Kenten', which means basket. The Asante peoples refered to Kente as Nwentoma or "woven cloth" used primarily for the creation of beautiful adornment worn by the Chieftains and Kings. Today it is still widely utilized in the Ghanaian community, commonly on bright display during occasions like the installation of Chiefs, and at festivals and other gatherings. 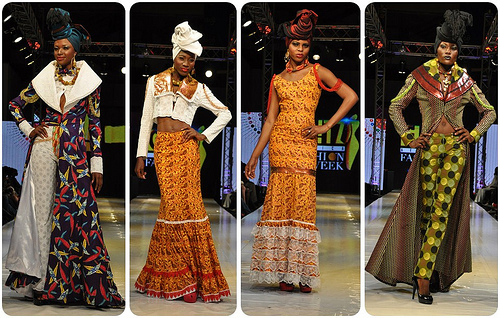 The period of modernization in Ghana during 20th century brought tremendous change to the fashion industry. The production of Kente cloth was expanded to every corner of the country. The youth were eager to use the Kente cloth in producing different types of products and began using cheaper source materials that would reduce the cost of the Kente cloth which was still often seen as an expensive woven cloth worn only by the affluent. Consumers began searching for fashion designers that could supply them with their own choice of designs and products that would be exceptional and unique, as well as affordable. The quest for uniqueness pushed a few fashion designers in the country like Kofi Ansah, to search for a unique African fabric in his production process. The acquisition of such African prints posed a challenge, because normally these prints had to be imported into the country by Ghanaians who traveled to countries like the Netherlands. Their prints, popularly referred to as “Real Hollandis”, kicked started the fashion industry in Ghana. The prints were used by mostly state-run companies to produce enormous quantities of products like beautiful African dresses that were so unique that the fashion designers behind such fabrics and designs became celebrities. Often the search for the creatives behind the designs led to the door of Kofi Ansah and his contemporaries. 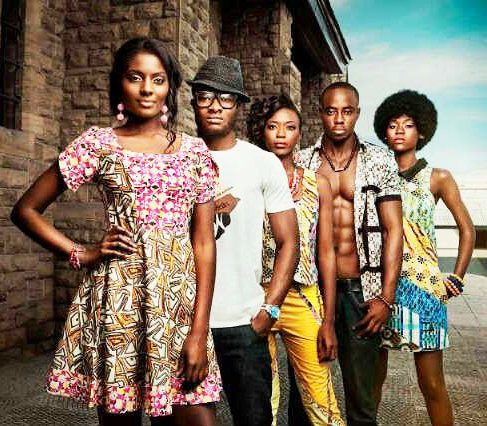 In the early 2000's, today's Ghanaian fashion industry began to take shape. The large-scale production of African Prints and the marketing of new products through fashion shows began to increase the sophistication of the industry and increase public awareness. Companies manufacturing and producing beautiful fabric prints and products started springing up to create competition for state run textile companies. To encourage Ghanaians to buy made-in-Ghana products, 'National Friday Wear' was introduced by the Government in 2004. This policy was designed to 'rekindle the national consciousness' by encouraging citizens to dress in local attire. It was a domesticated marketing strategy designed by the Government to revitalize the Ghanaian textile and garment industry as well as promote made-in-Ghana goods. The strategy brought numerous fashion designers into play and led to an increase in the number of students applying to study fashion design at the tertiary level because a market was created locally for their produce. Today the famous Accra shopping Mall is full of local prints; shopping there is treat as everywhere you're surrounded by the beautiful scenery of Africa fabrics while strolling Osu Oxford Street. The average Ghanaian loves beautiful fabrics, they love beautiful colors, especially those developed using the local symbols like “Adinkra, Akoben, Dwennimmen, Epa, Gye Nyame” etc. In Ghana, the people revere their ancestors, wearing products printed traditional symbols is an expression of respect and love. State owned textile companies have met stiff competition from local textile entrepreneurs. The production of quality textile is revered in Ghana, thus textile companies who are not in tune with trend and quality are normally not entertained. This preference has helped many local textile companies survive by employing fashion designers who quickly transform the fabric to a beautiful product. 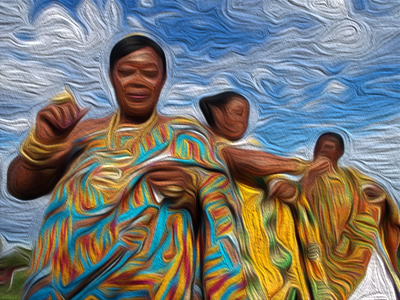 In Ghana, the people revere their ancestors, wearing printed traditional symbols is an expression of respect and love. The local folks also engage in the production of Batik, Tie-Dye styles. Batik, meaning “Wax Written”, became popular in the late 1960s and 70s. The produce is beautiful and most customers like Batik artists to employ patterns and motifs that are communicative in nature. Batik production is quite labour intensive, thus it provides employment for many people, mostly women, locally. The production and sale of Batik has been growing in popularity, and its beautiful designs have caught the eye of designers internationally. Companies like Della, based in Los Angeles, California in the US have adapted Batik fabrics for use in western styled purses, bags, and even shoes. 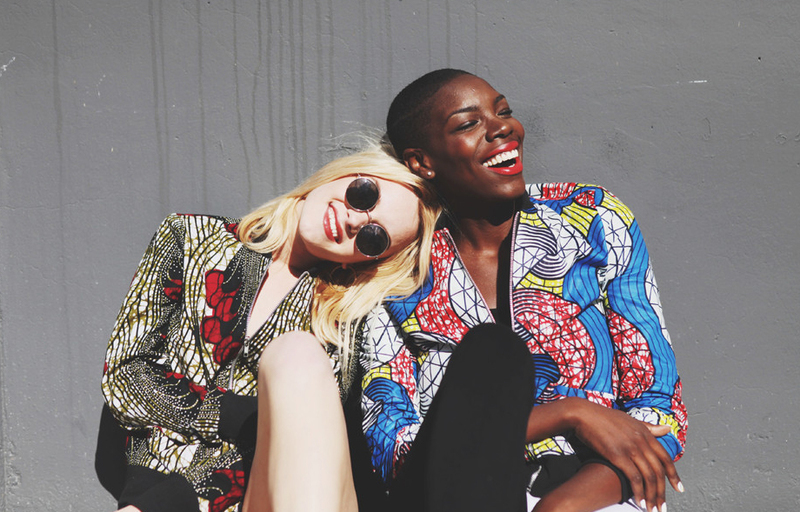 Della matches their interest in African Fabrics with a commitment to improving local communities as well. In the words of their founder Tina Tangelakis, “Della is a fashion line handcrafted by a community in Ghana, West Africa. The passionate, talented women who create the pieces are given an opportunity to build a foundation for a better life through jobs, education and skills training.” The company's products are beautiful, and their philosophy highlights the amazing potential of the industry when coupled with social responsibility. Ultimately the fashion industry has played an important role in the development of Ghana's economy, and some of its difficulties. Textile manufacturing outfits in Ghana have seen an erosion of their foundation by the large importation of cheap and inferior textiles into the market and this has come to upset the traditional hierarchy of the local textiles, and has affected the quality of the textiles produced today. Textiles constitute a major and flourishing art that achieves many more things than just providing clothing, by enhancing communication through expression, defining social status and inspiring artists working in other media. The interest of international brands like Della proves that perhaps the next stage for the industry is to introduce the world to the 'fabric' of Ghanaian society.